Lock in a great price for East Hong Kong – rated 8.7 by recent guests! Early check in, no problem. Free upgrade to suite. Didn’t eat there so can’t tell but the food looks good and fresh. Electric powdered blackout shades give jetlaggers good night sleep. Glass room divider between bath and sleeping area make room feel roomier. Love The modern design. Nice views. Friendly staff. Very cool vibe. Quirky sense of humour throughout the hotel's messages and theme. Very convenient location. Good staff. Very clean room. Convenience and ease to the mtr. Cleanliness and great service from the staff. When I arrived I was informed that the hotel room was full although I have fully paid. 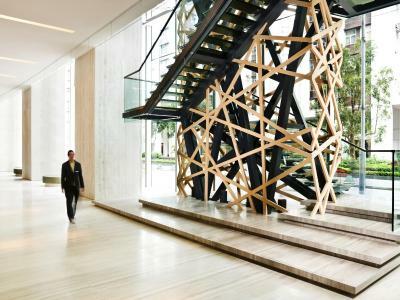 However the hotel offered me another property at Taikoo Place Apartment about 800m walk from the hotel. The studio room was superb! The shower was great! And we loved the breakfast and the views. Everything was amazing, the VIEW was just stunning, rooftop bar (sugar) was awesome, staff was amazing. 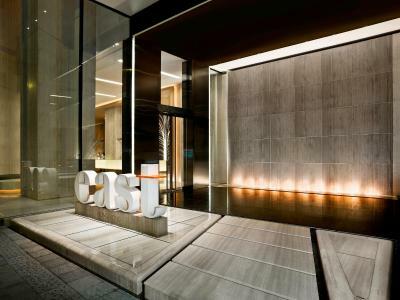 East Hong Kong This rating is a reflection of how the property compares to the industry standard when it comes to price, facilities and services available. It's based on a self-evaluation by the property. Use this rating to help choose your stay! 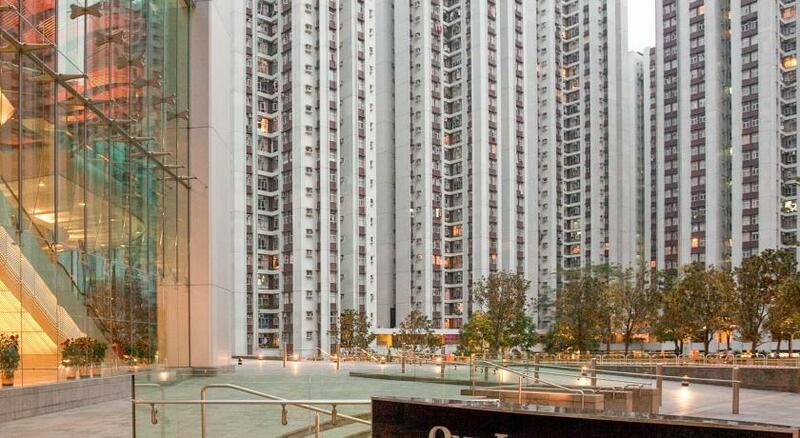 The ultra-stylish and nonsmoking East Hong Kong is located along Quarry Bay, just next to Tai Koo MTR Station. 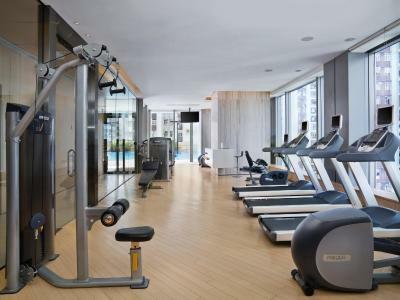 It features a 24-hour gym, free WiFi, and its advocacy of clean air sharing. Rooms include comforts like a 37-inch flat-screen TV and an espresso machine. 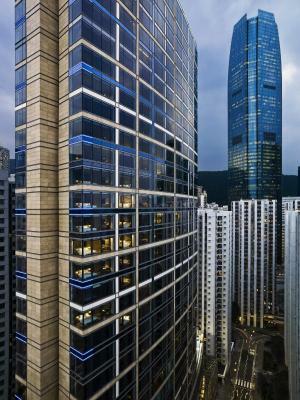 Hong Kong East Hotel is just next to Cityplaza Shopping Center. Driving from Chek Lap Kok International Airport will take around 45 minutes. 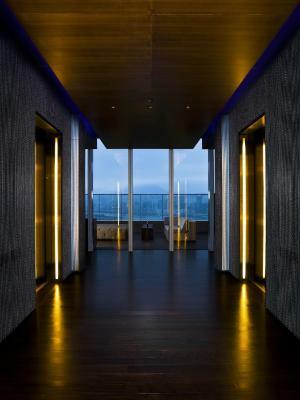 Lined with floor-to-ceiling glass windows, the air-conditioned rooms feature unparalleled views of Victoria Harbor or the city skyline, a flat-screen satellite/cable TV. Select rooms have an interactive Apple TV®. Private bathrooms come with a walk-in rainshower. 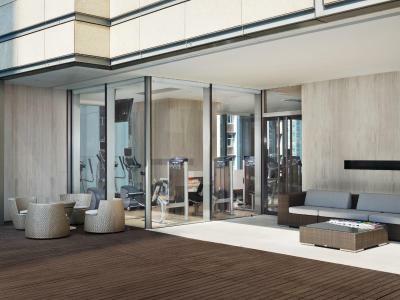 Guests may take a dip in the outdoor pool or make use of the exercise equipment at Beast Fitness Center. Laundry services and a 24-hour front desk are also provided. Hong Kong East is a great choice for travelers interested in local food, clothes shopping and food. In this area you can shop 'til you drop for popular brands like H&M, Zara, Nike. When would you like to stay at East Hong Kong? Room feature an interactive Apple TV® (available in selected rooms only) and a walk-in rain shower. Also includes an espresso machine and a selection of teas and infusions. These room types are nonsmoking rooms only. Kindly note that width of the queen bed is 66 in. Public parking is available at a location nearby (reservation is needed) and costs HKD 480 per day. Large windows overlook the beautiful Victoria Harbor and Eastern Kowloon city skyline. Room features an interactive Apple TV® (available in selected rooms only) and a walk-in rain shower. Also includes an espresso machine and a selection of teas and infusions. 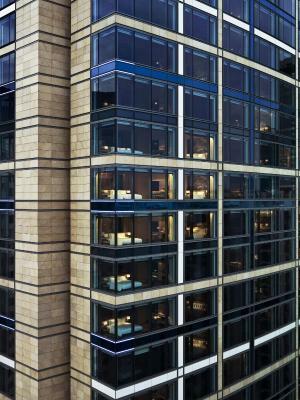 Located on the 30th floor (our top floor), the studio suite features spacious interiors with high ceilings and large windows. The studio suite has a 42-inch HD LCD TV. Facilities like a bathtub, a walk-in rain shower, an espresso machine and a selection of teas and infusions are also provided. Guests enjoy free mini-bar. This twin/double room features air conditioning, bathrobe and mini-bar. Guests enjoy free upgrade to Harbor View Room. Offering city views from extra windows, this room comes with additional space and a walk-in shower. An espresso machine and a selection of teas and infusions are provided. Room features an interactive Apple TV (available in selected rooms only), 37-inch HD LCD TV with satellite and i-cable channels (+ laptop connection) and also includes an espresso machine and complimentary coffee. The private bathroom features a walk-in rain shower. Hotel surroundings – This neighborhood is a great choice for travelers interested in local food, clothes shopping and food – Check location Great location - show map Guests loved walking around the neighborhood! House Rules East Hong Kong takes special requests – add in the next step! East Hong Kong accepts these cards and reserves the right to temporarily hold an amount prior to arrival. - Name changes are strictly prohibited for all bookings under the nonrefundable policy. For more information, please contact the property directly. - Different policies and extra charges may apply for bookings more than 3 rooms. 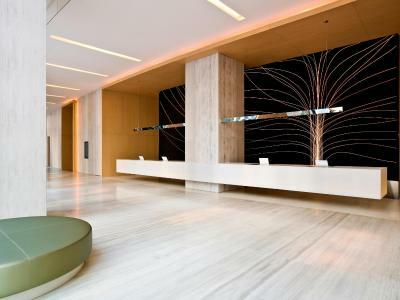 - Guest are required to show a photo identification and credit card that process the payment upon check-in. A full payment will be obtained from guest upon check-in if he/she fails to present the same credit card. Please note that all special requests are subject to availability and additional charges may apply. While most of the staff were very pleasant and almost with a smile on their faces a few were looking a but sad. They must have a personal problem not associated with their job. Overall they all worked efficiently and professionally. I most like to commend the excellent service we received from the cleaning staff. The first day was a misunderstanding but made up during the subsequent days we stayed at the hotel keeping the room so neat and tidy and very clean. Great staff, comfort place to stay. Big shopping mall and MTR nearby, very convenient. On a rainy weekend more that 2 channels in English would be welcome. Excellent hotel with great access to mall and train. 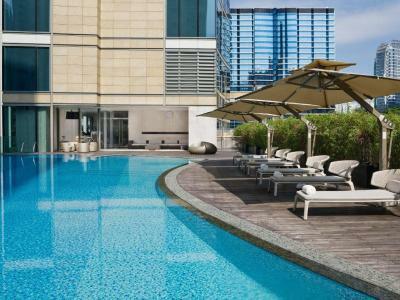 The hotel rooms are huge for hong Kong and a pool and rooftop bar are a bonus. Local restaurants are also available near by. Great views of the Harbour. Amazing views, we liked the location - not too close to the main bustle of the city but an easy train ride (train basically outside the door). Rooms are beautifully set out. Block out blinds great for a hangover/jetlag. The rooftop bar had lovely (expensive) drinks and breakfast was a fantastic buffet. location wise it is not ideal, a bit far from the center. Really noisy hotel at all times, because it is next to the highway, and the view in the city view room is terrible. the breakfast too expensive for what it really was and the gym and pool were too small. We stayed at the Harbour corner room. The view is stunning! Amazing view !! Lots of things to do in the area, and you can easily reach central with the subway. Convenient access to the mall as well. The staff was very friendly, and offered me to use the gym shower so I could refresh while waiting for my room. The roofbar is also quite nice.